Silver Star’s village with its gondola in view. Credit: Silver Star Mountain. I hadn’t been to Silver Star Mountain in probably two decades. I remembered a mellow, family resort with an Old West theme and very easy runs. Boy, has Silver Star in British Columbia, Canada’s interior grown up. Yes, the main street still has a bit of Old West, 1900s mining town vibe. But that’s where the original Silver Star ends. There’s now a backside with decidedly expert runs. And a brand new gondola that had its first winter this season. It provides quicker access from the main village to Alpine Meadows, Vance Creek and Powder Gulch. And also gives improved access for beginners, and warm access to the upper XC Trails for nordic skiers so they don’t have to ride open lifts. What many folks don’t realize is how large this place is. 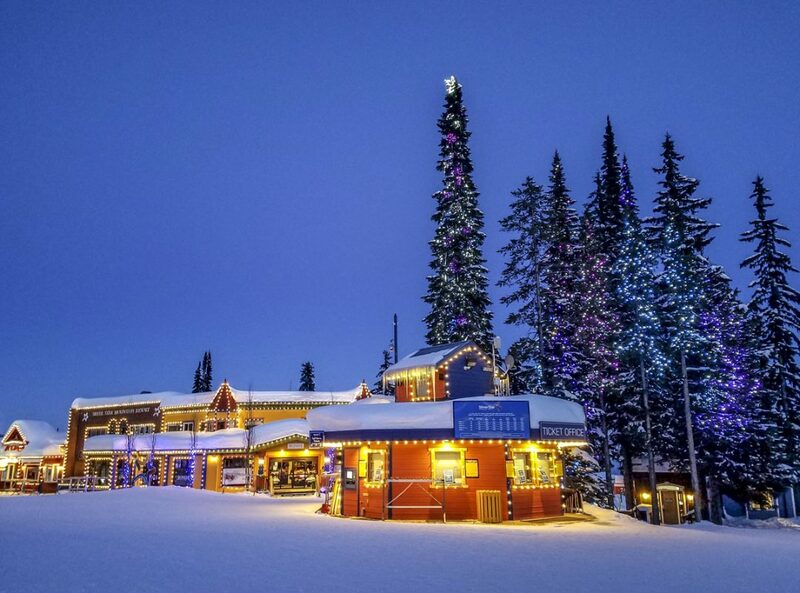 It’s BC’s third largest ski area with 3,282 skiable acres, four mountain faces and 132 runs. This includes the back side with 1,900 acres of steep and deep. Mid mountain is a mile high (5,280 feet) with plenty of ski in-ski out lodging. As for that Nordic terrain, the 55 km of groomed trails that link to another 50 km at nearby Sovereign Lake make it the largest Nordic network in Canada. 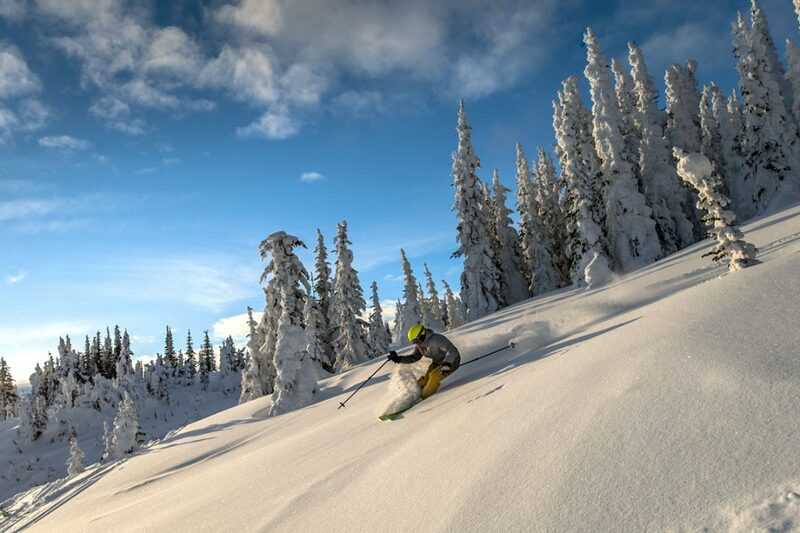 And this January, USA Today ranked the SilverStar/Sovereign Lake trail network in the Top Ten Cross-country ski destinations in North America, the only Canadian Resort to make the list. 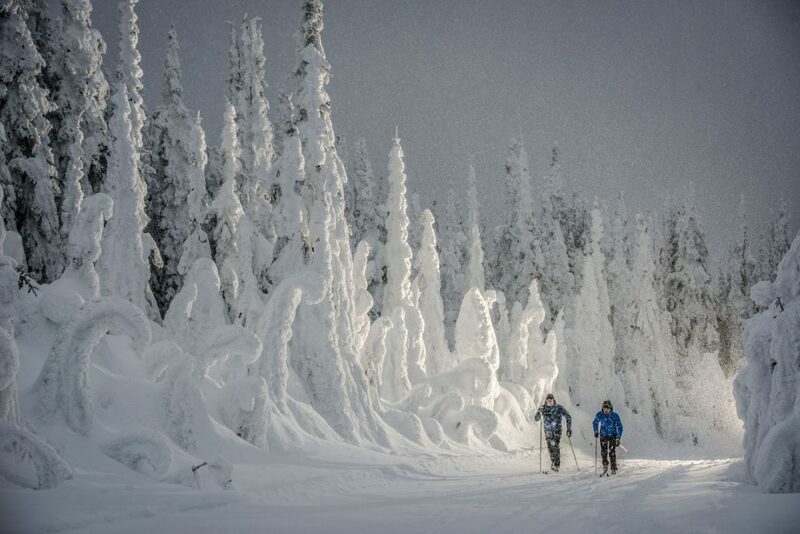 Nordic skiiing at Silver Star Mountain, which has the biggest Nordic network in North America. Credit: Silver Star Mountain. 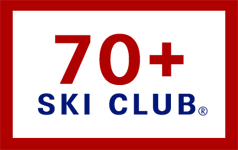 * A yearly Over the Hill Downhill race where folks dig out their ancient skis and old one piece ski suits. * A run named Over The Hill. * Silver Star’s ski season runs late November to early April. * Nine on-mountain hotels with 5,600 pillows and a seriously vibrant collection of building colors that can include yellow, blue, green, bronze and bright red in sections of the same building. Yes, it all stands out, positively glistening against the snow. 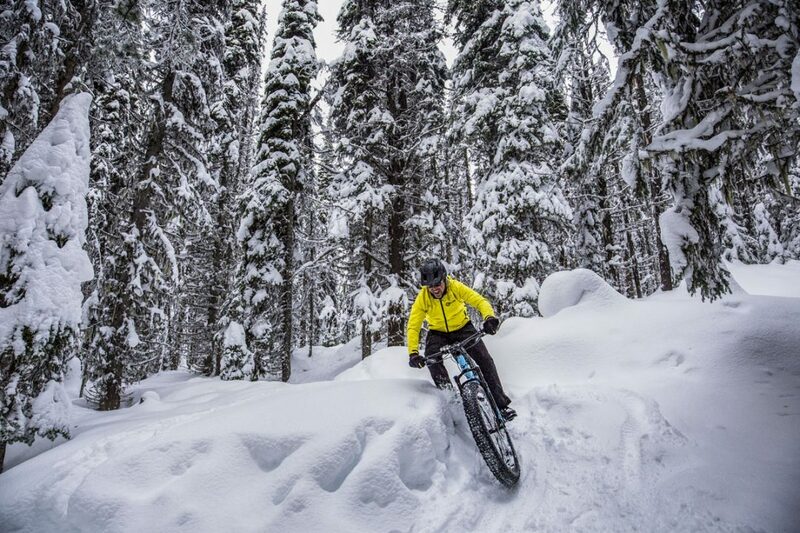 Fat tire biking on snow at Silver Star Mountain. Credit:Silver Star Mountain. * Sixteen places to eat including two on-mountain and a cabin reached via sleigh, along with a grocery store in the main village. Do NOT miss the Red Antler’s world class chili which, for some inexplicable reason, is called “meat and potatoes soup.” It’s chock full of meat, not too many beans, and set in a thick, spicy base. And for a good show, there’s the Smoked Old Fashioned drink at the Den Bar & Bistro. Watching the bar guy torch wood chips and infuse the mellow whisky drink with smoke is a night’s entertainment by itself. * Total vertical drop of 2,500 feet with 15% beginner, 40% intermediate, 35% difficult and, yes, 10% extreme. Ten lifts with total capacity of 14,000 skiers per hour. * Annual snowfall of 275 inches, average daytime temperature of 23 degrees. 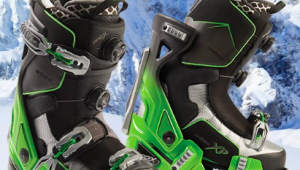 * Non-ski activities include snowshoeing, fat cycling snowy trails on bikes with super wide tires, ice skating on the local pond, Tube Town with lift access to inner tube runs and riding a fenced track on Arctic Cat FireCat F120 mini snowmobiles for the 12 and under set. 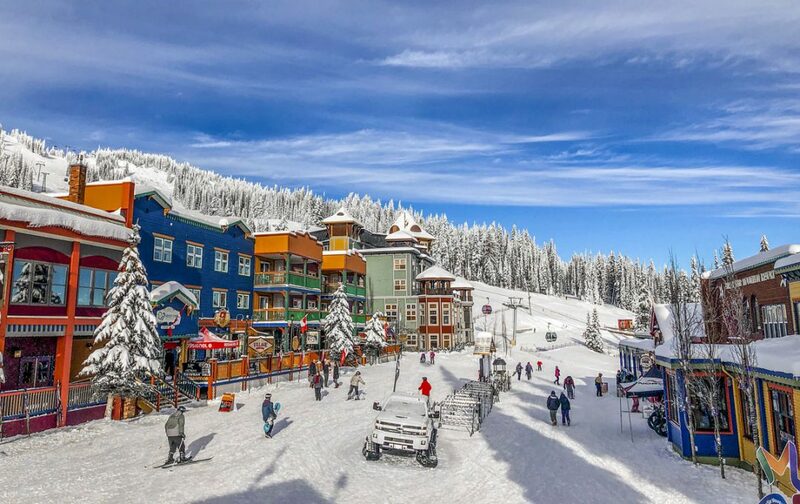 Silver star is an hour’s drive north from Kelowna International Airport and the ski area runs shuttles to the resort. The nearest town is Vernon, 20 minutes down the road. Great cruiser runs. Great signage. Easily accessed terrain. Many condo rooms at Snowbird Lodge include generously sized hot tubs. A correction if I may. I live and ski in the Methow Valley in Washington State. Methow Trails keeps over 200 km of trail groomed, most of it daily. This makes it the largest groomed trail system in North America. Silver Stars own website only claims that their combined systems of 105 km, makes it the largest – daily groomed – in Canada, not North America. Thanks for the correction. I live in Washington State and that information is logical. Also checked the site and see the comment about it being Canada’s largest.